This morning’s send-off by the nuns was special. One of the school staff took a picture that imprinted on my mind the best of what there is on the Via Regia/Camino: the love and caring these sisters exude for all, but especially to the children entrusted to their care. The picture says it all. Thanks for sharing the journey. 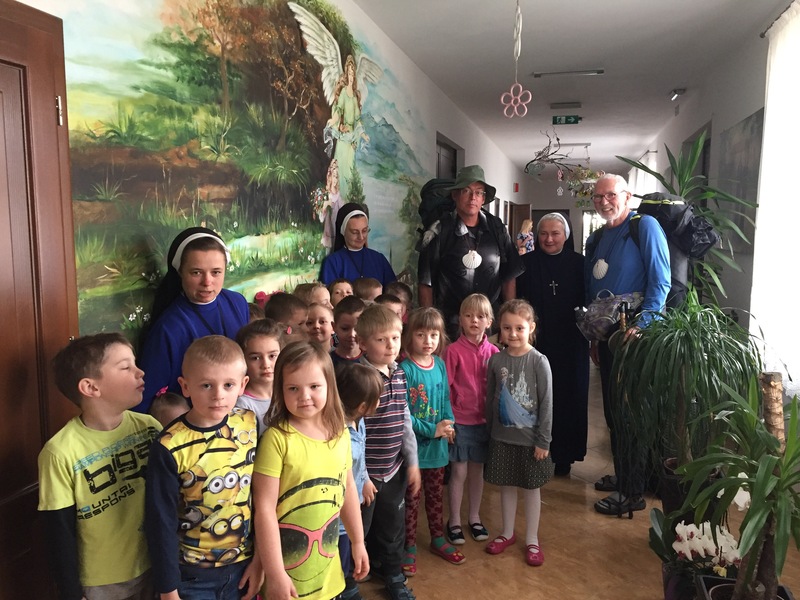 I particularly loved the picture of the schoolchildren and the nuns. Children are indeed universal. Those kids could have been from anywhere.